Moving to Riyadh - Compare International Movers & Save up to 70% ! A move to Riyadh may be an interesting challenge for you to organize. Saudi Arabia in the Middle East is a totally new environment for many, with strict religion regarding principles and requirements. 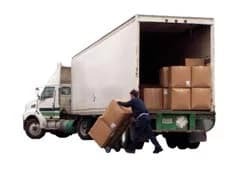 The moving and shipping companies on Intlmovers have years of experience in the field of international moves, and some of them specialize in moves to specific countries such as Saudi Arabia. One easy way to avoid the stress of an international move to Riyadh is to enlist the service of Intlmovers. You will not only save your energy, but also save yourself time and money. Independent of the country from which you are going to move, you can request up to 6 offers from professional moving and shipping companies with only one click. Why using Intlmovers.com for your removal to Riyadh? To travel to Saudi Arabia you need a valid passport (which is valid for at least 6 month after your scheduled departure) is required by every nation. Are issued to Muslims who either want to take part in the Hajj or to visit the Holy Cities Madinah and Mekkah. This is also considered as a business visa. It requires a formal invitation from the regarded person or company. Is issued to people who wish to live and work in Saudi Arabia, and thus an employment contract and credential documents are required. This is issued to people who intend to pass through Saudi Arabian airports (24h/48h) and are available when the passenger proves that there is no other ideal route. This visa is issued to people who are driving from Jordan to either Kuwait or Yemen (3 days). Granted with a residence permit or a visitor visa, the person who wants to apply for a working permit has to obtain a contract or proof relations to a Saudi Arabian company. People who intend to work and live permanently in Saudi Arabia can apply for the residence permit. The validity period will depend on your conditions and the concerns of the government. Children and spouses of persons who are living and working in Saudi Arabia are also able to apply for the residence permit. To live in Saudi Arabia may present new challenges for people arriving from western countries. There are many restrictions in public, especially for woman. As soon as a woman is leaves her house she has to wear an “abaya”, which is a long-sleeved and floor-length garment. The religion police will caution women who have not covered their head with a scarf. Furthermore, there are no churches and every religious item that is not from the Muslim religion will be confiscated at the airport. In restaurants, there are often two sections – the single men section and the family section. Single women who are staying alone in the city or with female friends have to join the family section. It is also possible for a less restricted life as in public for women when living within a compound. These are resorts like neighborhoods with swimming pools, small grocery stores, entertainment venues, recreation centers, libraries, gyms and beauty shops available. The relocation companies on Intlmovers are professionals in the field of international moves. They know exactly how to organize your international move to Riyadh and how to take care of all your furniture and personal items. Via Intlmovers you can easily request up to 6 offers from several moving and shipping companies. Depending on the country from which you will move to Riyadh, Intlmovers will preselect 6 moving companies for you. By selecting your preferred companies, these moving experts will send your personal quotes directly to your mailbox.